Saint Valentine&apos;s Day, commonly shortened to Valentine&apos;s Day, is an annual holiday held on February 14 celebrating love and affection between intimate companions. This traditional western holiday has a history for more than 1000 years. The special thing on Valentine&apos;s Day is that lovers present gift to each other to express their love and affection. Modern Valentine&apos;s Day symbols include the heart-shaped outline, doves, and the figure of the winged Cupid. Saint Valentine’s Day, commonly shortened to Valentine’s Day, is an annual holiday held on February 14 celebrating love and affection between intimate companions. This traditional western holiday has a history for more than 1000 years. The special thing on Valentine’s Day is that lovers present gift to each other to express their love and affection. Modern Valentine’s Day symbols include the heart-shaped outline, doves, and the figure of the winged Cupid. In Chinese culture, there is an older observance related to lovers, called “The Night of Sevens” (七夕). It is on the 7th day of the 7th month of the Chinese lunar calendar. Nowadays in China, people celebrate The Night of Sevens Day and more and more young people also celebrate western Valentine’s Day. Now let’s have a look about how Chinese celebrate Valentine’s Day. In Chinese mainland, men send gift to women and have dinner together. Recently more and more people would like write their blessing and love on “Love Wall” on internet and also make a gift for lovers by themselves (For Chinese the gift which is made by the sender is more precious and meaningful especially on this day.). For example, some people make heart-shaped chocolate by themselves to express their love. Many people send something which is very beautiful and amazing to their lovers, such as flower tea. 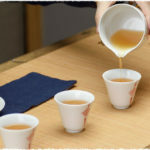 They brew the flower tea by themselves and the same time their lovers are surprise at the beautiful and magic flower tea. My mom and my sister both drink Bioslim and they seem to like it and it works for them. They have been irndking it for a year now and we’ve seen no side effect either. However, since I am a little bit more health conscious and I don’t like taking herbal medicines and stuff, I just drink green tea. I drink one glass 15 minutes before every meal and drink one glass after each meal. It has helped me loose weight slowly but safely. So, if you are really looking for a healthy way to loose weight, just go with the natural green tea. Thanks so much for your comment. 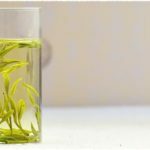 Compared with Herbal teas, green teas are more beneficial health to human. They’re not only have the function of anti-aging, anti-bacterial, even cancer prevention, but also can help people lose weight. 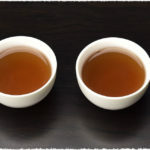 Also, another famous tea, which has been touted for many years as a great weight loss tea, called pu’erh tea. If you’ re interested in this tea, maybe you can check the link: https://www.teavivre.com/info/pu-erh-tea-weight-loss/ .